I can’t help throwing a desperate look over my shoulder when I see something following the boat. A pale whisper in the water, a cold stream under the surface, travelling much fast than me. It will not let me get away.. 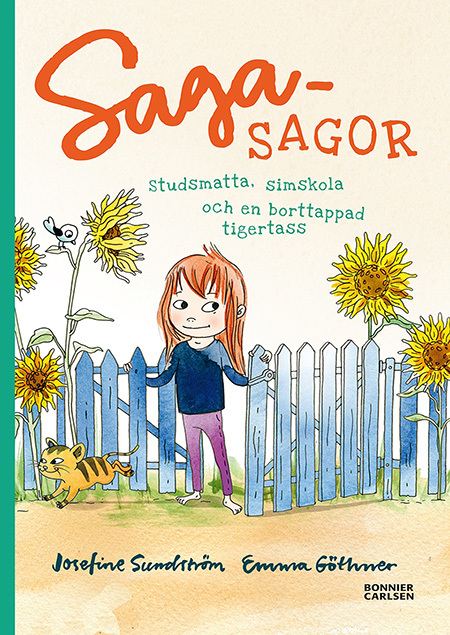 Even though twelve-year-old Tuva doesn’t have a lot in common with her classmates and keeps to her self most of the time, she has always felt at home in the archipelago and on Harö where she lives. She knows all the small islands and every skerry like the back of her hand. This particular autumn though something has changed. People disappear without a trace in the sea, dark shadows undulate beneath the waves and supernatural creatures can be spotted in the trees. Child of the Skerries is the first part of Camilla and Viveca Sten’s thriller series for middle grade readers. Supernatural elements from Norse mythology meets old sailors superstitions, the perfect set-up for a page-tuner. In main protagonist Tuva we also get a poignant tale of what it’s like to grow up on an island in the archipelago, when the summer guests have left and the fog lies thick over the ocean. “Child of the Skerries” is far superior to many of its predecessors, Tuva’s loneliness is portrayed in heart-breaking detail, like when she nods quietly on the phone instead of answering “yes”, because she doesn’t get enough phone calls to remember that no one sees you when you are on the phone. Many teen-novels in the thriller genre have a frantic pace, as if the author is scared that readers will dump the book for something more fun if monsters aren’t though in at every turn. 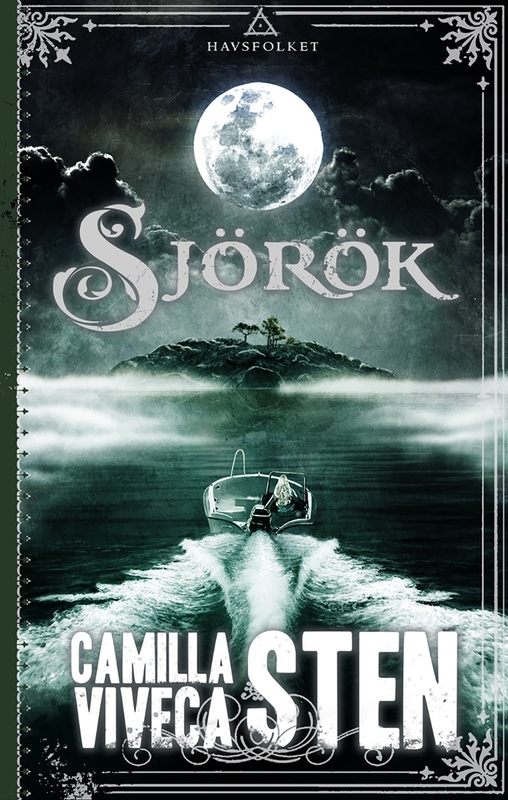 But in “Child of the Skerries” secondary characters are allowed to spread out, well-written chapters flow by with anything scary happening, until the plot thickens with a bang, like when Tuva’s boat is turned over at full speed and she lands in a sea full of snakes. “Child of the Skerries” is one of the most exciting tween novels of the year; a deserted archipelago has never felt so full of life. “Child for the Skerries” is a suggestively told archipelago thriller that could make anybody hesitate before taking a swim or a boat ride in the Baltic Sea. A story for all those who wait in line to read about isolation, the supernatural and mysteries. If you like the PAX-series you should definitely read this book. It has that same idea of a vulnerable child as the main character, encountering many different mythical creatures to fight against. A very smart book for the intelligent reader who wants to learn more and figure out riddles and at the same time there is a sensitive side to the book. The narrative could not be any better. The story is contemporary and Tuva either experiences or narrates all the events happening. It feels like we are with Tuva experience everything together with her. You can sense the dread during the boat rides, the terror at night when nightmares are tormenting her, the fear of the creatures she believes that she sees in the words and in the dark shadows under the waves, the strange atmosphere at Tuva’s grandmother’s house, and the looks her parents give one another when they think Tuva can’t see them. Altogether it makes the story relentlessly suspenseful and frightening. There is surprisingly little dialog, which suits the main character very well. The writers trust in their readers, that they will understand all the subtext, the unspoken. This is unusual in books for tweens, and it gives the tale a richer, more layered sense of credibility and depth. At the same time it is so beautifully written. Their love for the ocean and the archipelago shines through the story. It is simply magical. If this series continues in the same convincing way it will surpass earlier Swedish realistic-fantasy success stories like “The Circle” and the “Pax-series”! The character gallery presented in “Child of the Skerries” has the potential to develop and the suspense is just as intense! “Child of the Skerries” is sprunf from an old tribe of fairy tales, the ones that have the ability to spellbind! And then there is the sea. The sea that seems to hold something big, dangerous and evil. It has already taken several people who were out on its depths after dark and now seems to be after Tuva. This is no sunny portrayal of the archipelago. It is dark, chilly and scary. And I love that the book takes place in a realistic environment. That the map on the inside of the cover shows the real archipelago, the names of the islands are correct, even though some things are adapted to fit the story. 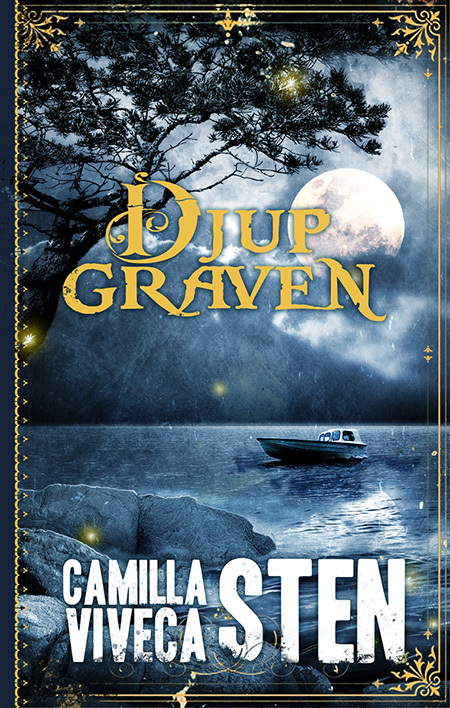 I also like that it is the first part of a trilogy, that way I know I will get to read more about Tuva and the dark side of life in the archipelago. This is the first part of a horror trilogy for children/middle grade, but the book is just as suitable for adult readers. I am immediately captured by the story and drawn in by the authors language and I can hardly put the book down for too long. Even though this is a horror story for 9-12 year olds, I still find it suitable for any age! And though I am not in the target group I gained a lot from this book that is both well written and entertaining. 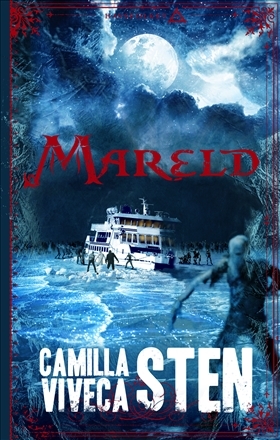 It’s set in the archipelago, an environment well known to Viveca Sten, and the depiction is spot on! You really feel the moisture of the mist and the salty waves of the sea. “Child of the Skerries” is a tight and thrilling book, perhaps almost on the verge of being a bit to scary if you’re a younger reader. But getting a tad spooked is also the whole charm of the reading experience, and Viveca and Camilla are very successful with this. The environments and the building of a menacing atmosphere are very well depicted. The fog is so thick that you can almost touch it, and the book is perfect to read a dark autumn evening.